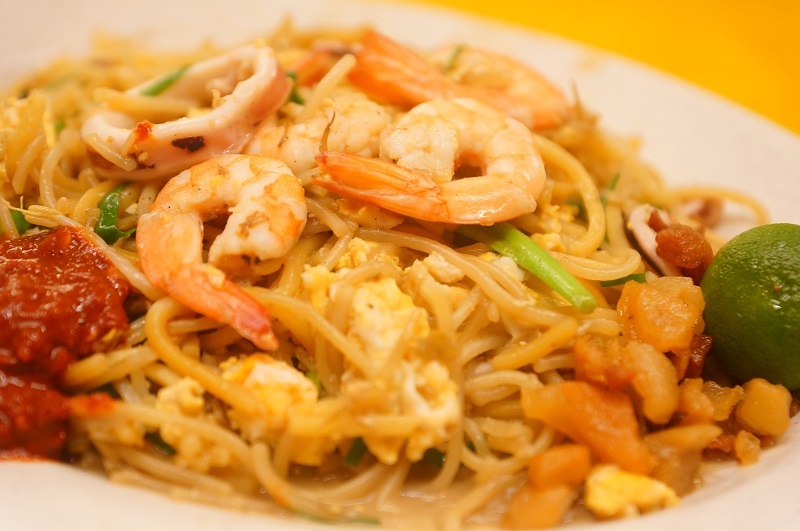 The man was once named the King of Hokkien mee in the 70s, his famous trademark – Rolex watch and long sleeve when frying the Hokkien mee had been the talk of the town. 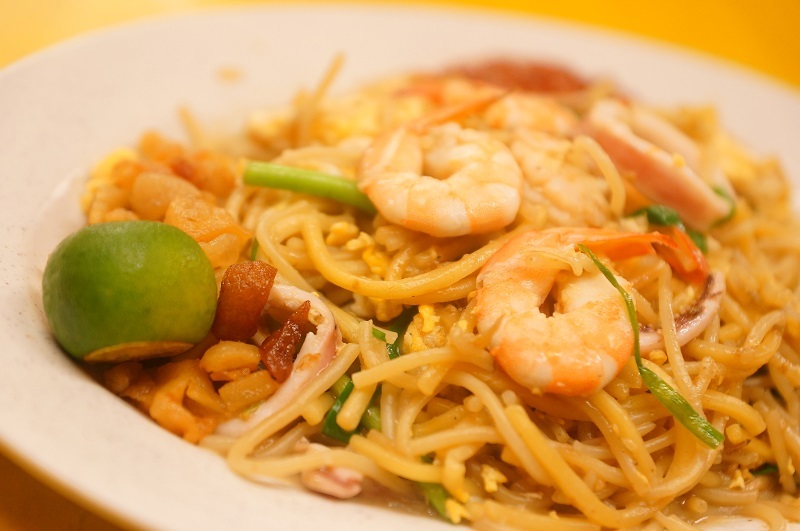 However, the legacy of the Kim’s Hokkien Mee was not last, over the past few decades, it has quietly diminished from the scene. 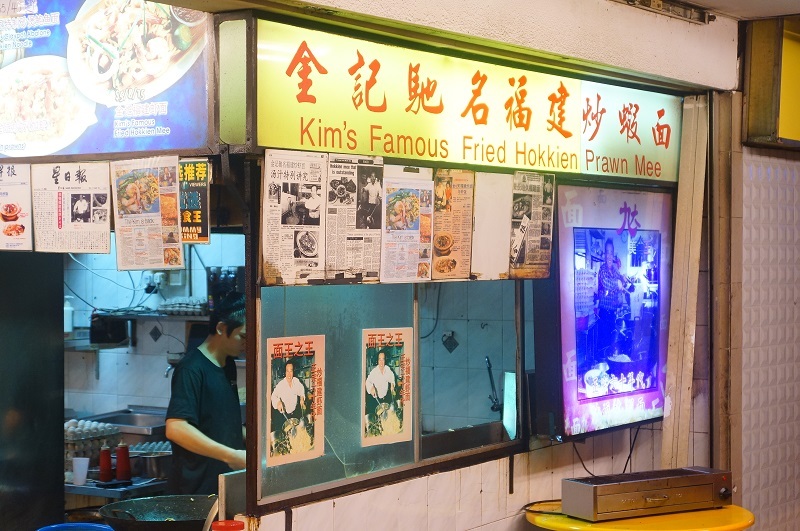 It is evident when you visit the shop, at this Eunos coffeeshop, there is no more the creator of Kim’s Hokkien mee – Ah Kim frying the Hokkien mee, it was substituted with a young man, we are wonder can he master the skills of Ah Kim? It was drizzling and we arrived around the dinner time, besides the two workers sitting around, the whole coffeeshop was ghostly quiet, not a single soul of patron and the Hokkien mee served in lightning speed. We ordered the $5 serving. The first mouthful of the Hokkien mee was a return of frowny facial expression from us, the obnoxious fishy smell was simply distasteful, to make matter worst, where is the seafood and charred flavour? Where is the fragrance of the lard and eggs? 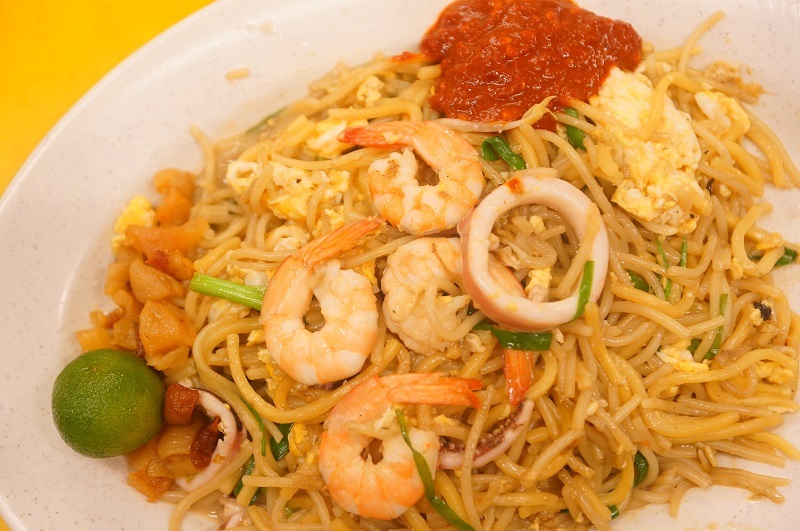 What happened to the famous Kim’s Hokkien mee? We tried hard to discern the much anticipated Hokkien mee flavour was proven futile, and to assuage our belief the once much raved about Hokkien mee King just fallen through the cracks. We are completely despondent the Hokkien mee here with a heavy heart. The food is a complete letdown and sad to say that it is an apocalypse to the Kim’s reputation. You will probably have some hits and misses in most of the cases with the food but we are truly apologetic for this mediocre Hokkien mee that completely off the taste and texture. Amongst the myriad of issues, it is not just about the poor skills but the complete missing heart and soul sunk into the preparation of the dish. Our verdict, we left the coffeeshop never finished the plate of Hokkien mee. Though there are many accolades presented by the media and prominently displayed at the stall, but in our heart Kim’s Hokkien mee is over…. I cringed every time I read your food reviews. Though informative,there are several grammatical errors in all your reviews. E.g” we are completely despondent the Hokkien mee here with a heavy heart.” The sentence makes no sense at all. Please take note as there are lots of readers reading your food blog and reviews. Thank you for your feedback we will take note of this. @jane. Your first line has a grammatical error and your quotation marks are not correct. Please take note as the lots of readers reading this blog and reviews are also reading your comment. Thanks for the feedback and we will review and update.